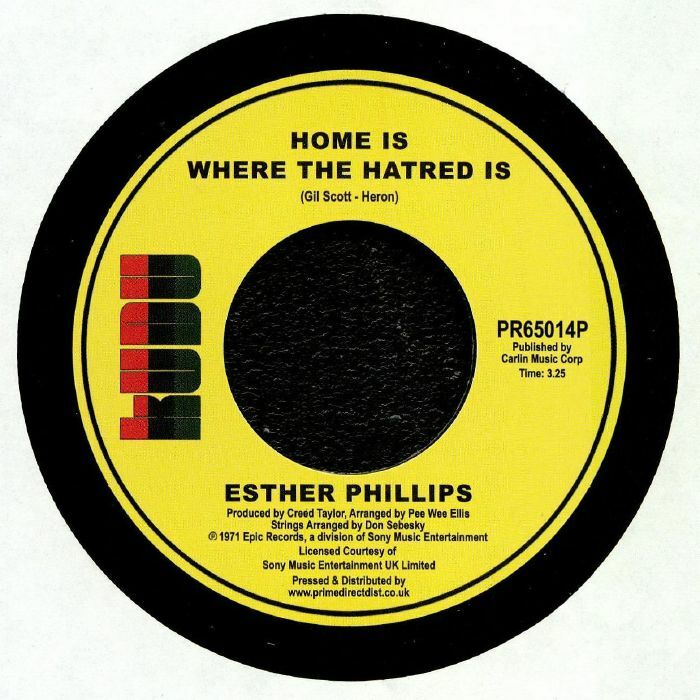 Esther PHILLIPS Home Is Where The Hatred Is vinyl at Juno Records. This tidy reissue gathers together tracks from two different Esther Phillips singles, both of which were originally released in 1971. 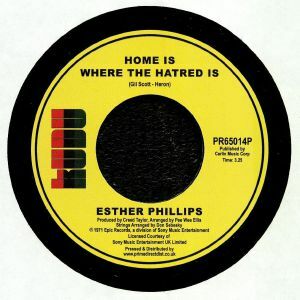 Pride of place goes to the legendary soul singer's cover of Gil Scott-Heron's "Home Is Where The Hatred Is", which also opened her brilliant album "From A Whisper To A Scream". Sounding a little like the period "conscious soul" of Curtis Mayfield and Marvin Gaye, the track is brilliantly arranged and performed by Phillips and her assembled studio musicians. B-side "I've Never Found a Man (To Love Me Like You Do)" is an altogether sweeter affair, with Phillips and backing vocalists rising above a punchy, orchestrated soul groove.